"…the police officer and the duck were absolutely fabulous… Everyone had such a memorable time!" 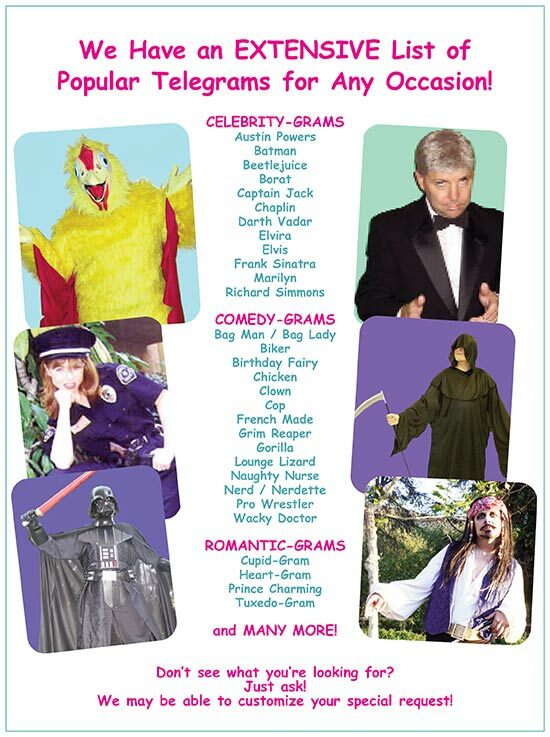 SURPRISE the Guest of Honor with a Wacky Telegram! 1. You select the character. 2. You provide us with a list of details about the guest of honor. 3. 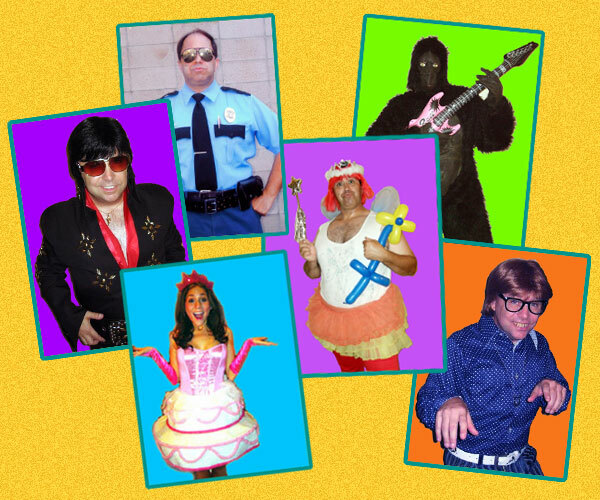 Our performer creates a customized 7-12 minute improv performance using the personalized information, audience participation, songs, and a message from YOU that will make that special someone the STAR!